Bus accidents can be devastating. Getting compensation shouldn’t be. Nearly everyone has ridden on a bus before. Whether is was a school bus, public transportation bus, private charter bus, or just driving next to one on the roadway, we are all familiar with buses. What people don’t know are the inherent dangers that buses can pose to their own passengers and to other motorists. 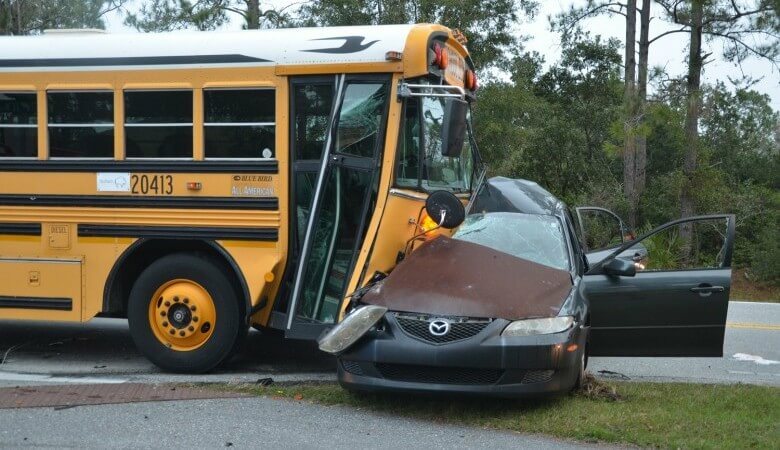 If you or someone you love was involved in a bus crash, you need a legal team by your side that can protect your best interests and help you obtain compensation. The experienced bus crash lawyers at Whitfield, Bryson & Mason understand how devastating a bus crash can be for the victims. We can answer your questions and help you understand your legal options. It is a common misconception that buses are generally safer than cars. The National Transportation Safety Board (NTSB) found that buses have a higher likelihood of fatal accidents compared to other vehicles. Despite federal safety regulations, the size and weight of buses make them particularly dangerous. While the size and weight of buses are particularly dangerous to other motorists and pedestrians, the absence of seatbelts inside a bus increases the potential severity of injuries for its own passengers. The NTSB estimates that more than half of all bus accident passenger fatalities are the result of occupant ejections (which can often be prevented by the proper use of a seatbelt). Because bus crashes cause such severe injuries, the road to recovery for victims is often long and expensive. Victims often require emergency medical treatment, surgery, medications, physical therapy, and specialty medical equipment to help them heal from their injuries. The cost of medical treatment can quickly become overwhelming for victims and their families. Bus accidents can be caused by a number of reasons. If the driver is inadequately trained or has a record of negligent driving in the past, this greatly increases the likelihood of an accident. Just like any other driver, bus drivers are also susceptible to distracted driving. Whether they are talking to passengers, checking cell phones, or simply taking their eyes off the road, distracted driving on a bus can have devastating consequences. Studies also show that some bus drivers are more likely to cause an accident than others. Young bus drivers (under the age of 35) are at an increased risk for higher accident severity. However, older bus drivers (over the age of 55) also have an increased risk for higher accident severity. Proper training is crucial for decreasing the likelihood and severity of bus accidents. Bus wrecks can also be caused by poor maintenance on the vehicle itself. If the owner of the bus fails to keep the bus in a safe driving condition, things like brake failure or blowing a tire could cause the operator to lose control of the bus. What To Do After A Bus Wreck? If you are involved in a bus wreck, it’s important to immediately seek medical attention. Even if you don’t feel you are injured, wait for emergency responders to arrive at the scene. You might be unaware that you have suffered injuries from the accident. Injuries like concussions don’t always have obvious and immediate symptoms, so its important to let a medical professional check for injuries. If you are able, get contact information of other passengers, the driver, witnesses, police, and anyone else involved in the accident. Finally, call a bus crash lawyer as soon as you can. Bus companies usually have unique insurance policies to cover injuries caused in accidents, but they are complex and difficult to understand on your own. Because the size of the vehicle and number of passengers, understanding exactly how a bus crash happened is incredibly complex. Factors like road conditions, weather, vehicle maintenance, and experience level of operators can make the exact cause of the accident difficult to distinguish. Our attorneys work with industry experts and crash reconstruction specialists to determine the cause of accidents and prove negligence. If your injury from a bus accident was caused due to negligence, you may be entitled to compensation. The bus accident attorneys at Whitfield, Bryson & Mason have helped scores of victims of bus accidents on the road to recovery. Hiring us will cost you nothing, and you won’t owe us anything unless we help you recover compensation. Call us today to schedule a free consultation to discuss your case.